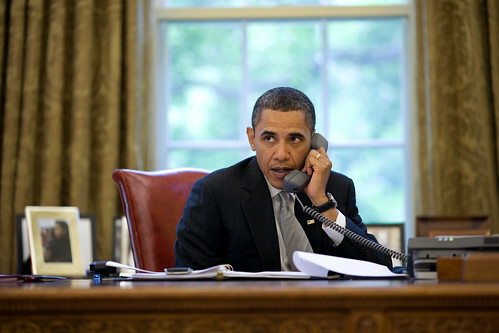 (FinalCall.com) - The deepening crisis in the Gulf Coast caused President Barack Obama to amend his Memorial Day weekend plans. He landed in Louisiana to tour the devastation amid frustrated complaints that his administration has responded too slow and has been weak in its pressure on British Petroleum (BP) to halt what is being called the largest oil spill in the nation's history. “We expect that frustration and anger to continue until we solve the problem,''said President Obama during his May 28 speech at Grand Isle. He still was unsure whether the “top kill” method will halt the ecological disaster. The visit was the president's second trip to the region since BP's offshore oil rig Deepwater Horizon exploded over a month ago on April 20, killing 11 and triggering a massive oil spill. It is estimated that this oil spill has surpassed the Exxon Valdez spill in Alaska in 1989. According to the White House, the purpose of the trip was for the president to meet with local officials and hear their ideas. But this crisis has some analysts zeroing in on what they call a systemic history of corporate criminal behavior and negligence by government to fully hold these companies accountable. “BP is a habitual criminal offender and cannot be trusted. The fact they were even allowed to manage this oil spill up to this point in the Gulf is horrendous. The company has one of the worst track records of any oil company operating in America,” Tyson Slocum, energy policy program director of the progressive group Public Citizen, told The Final Call. At Final Call press time, a BP press release reported that the cost of the response as of May 28 was about $930 million, including the cost of the spill response, containment, relief well drilling, grants to Gulf states, claims paid and federal costs.The company says that 26,000 claims have been filed and 11,650 payments have already been made and over 96,000 calls have been made to the help line. Experts have estimated that the rate of oil spill into the Gulf could reach as high as 4.2 million gallons (100,000 barrels) a day. “We cannot let bureaucracy and red tape delay our action while oil hits our wetlands week after week,” said Louisiana Gov. Bobby Jindal. “More than 100 miles of our shoreline has been impacted by the oil spill. That is more than the entire sea coastline of Mississippi and Alabama combined,” said Gov. Jindal. “The American people should know that from the moment this disaster began, the federal government has been in charge of the response effort.As far as I'm concerned, BP is responsible for this horrific disaster, and we will hold them fully accountable on behalf of the United States as well as the people and communities victimized by this tragedy,” said President Obama at a May 27 press conference. President Obama also ordered a halt to drilling operations at all 33 deep-water rigs in the Gulf of Mexico for six months or until a commission completes its task. Rigs that are already drilling will have to stop and others that were preparing to drill will have to stop those preparations. According to the U.S. State Dept., some 17 countries have offered assistance, including Canada, Mexico, South Korea, Croatia, France, Germany,Ireland, Japan, the Netherlands, Norway, Romania, Russia, Spain, Sweden, theUnited Arab Emirates, the United Kingdom andVietnam. 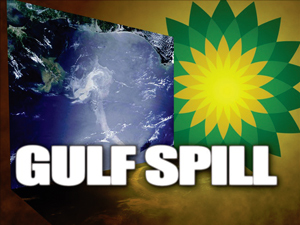 But no approval has been made by the U.S.
“BP is as transparent as oil about the disaster. BP has consistently misled the public about how much oil is gushing from the well. BP must be held accountable and should be subject to permanent sanctions and criminal charges against executives,” said Mr. Slocum of Public Citizen. “It is clear that Obama's administration responded too slowly. He needs to fire BP and put this under full federal control. The solutions to this are difficult but he made a mistake entrusting BP with handling this,” he continued. In a letter to BP, Rep.Henry Waxman, (D-Calif.) and Rep.Bart Stupak (D-Mich.) said company investigators failed to keep lawmakers thoroughly informed in a series of briefings about the company's abrupt decision to use a type of drill casing that was prone to cause more leaks. “This raises the possibility that BP's internal investigation is not examining the consequences of BP's own decisions and conduct,” the two lawmakers said in the letter. Mr. Waxman chairs the Energy Committee and Mr. Stupak is chairman of the Subcommittee on Oversight and Investigations. “Mounting evidence shows that BP was negligent. Firsthand accounts describe BP managers proceeding with work to cap the well, even though they were informed that the integrity of the blowout preventer had been compromised,” said Mr. Slocum. I was looking on the web site and saw that you haven't covered the BP disaster recently. I saw this article on how it affects black culture and black life and what not. I don't know if its material for your blog, but I found it very intriguing.